Availability: February through June from California. 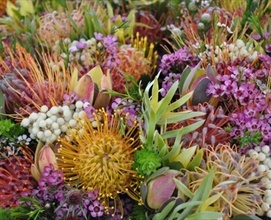 Composed of flowering fillers, leucadendrons and foliages. Fillers vary according to the best of what is available, choices are always high quality, unique and colourful. 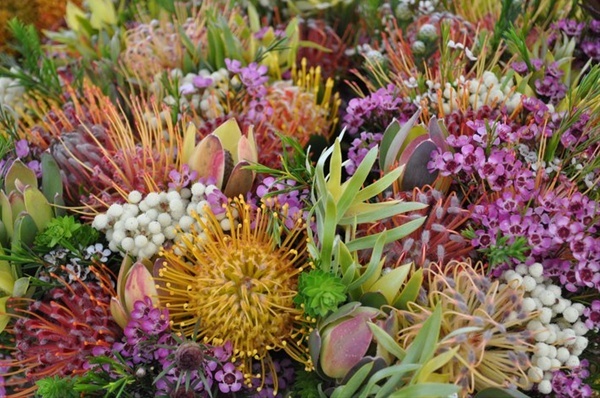 Could include a selection of Waxflower, grevillea, berzelias, brunias, honey bracelet, kunzea, adenanthos or others.